The iBall Slide Elan 3x32 is powered by a 1.3 GHz Quad Core processor along with a 3GB RAM and 32GB onboard storage, which can be expanded up to 64GB. 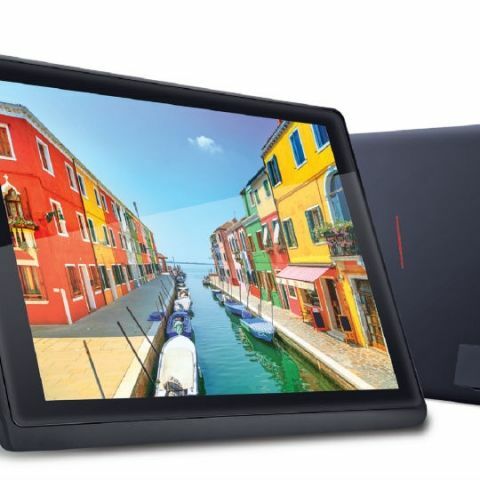 iBall has launched its new 10-inch Tablet 'Slide Elan 3x32' which is powered by a 1.3 GHz Quad Core processor along with a 3GB RAM and 32GB onboard storage, which can be expanded up to 64GB. It comes equipped with a 5MP rear camera with Auto Focus and LED flash. Adding yet another feather to its cap, iBall - a Brand known for its innovative and latest technology products, rolls out its newest iBall Slide Tablet PC - Elan 3x32. It is beautifully designed and powerfully built, guaranteeing nothing but Terrific Performance. The perfect paradigm of beauty with brains, iBall Slide Elan 3x32 is an elegantly designed Tablet with advanced computing technology that executes every task in the blink of an eye. Sporting a 25.5 cm (10.1) IPS HD display with an amazing screen resolution of 1280x800, you can now watch your favourite shows / movies, or play games with brilliant visuals with crystal clear views from any angle. Sporting an Operating system with the latest Android 8.1 Oreo, this Slide assures a unified blend of features and high-speed performance. No more lags, Elan 3x32 runs smoothly and swiftly with 3 GB RAM along with 1.3 GHz Quad Core processor. Though slim and light-weight, it can store all your data, movies and songs, thanks to its large built-in memory of 32 GB, which can be further expanded up to 64 GB via MicroSD card. Equipped with a 5 MP rear Camera with Auto Focus and LED flash, perfect moments are captured vibrantly. Additionally, Selfie captures are a redefinition of bright picture quality as well, with the 2 MP front camera that also comes with a heap of filters and modes. So, happy clicking! Incorporated with the mammoth 7000 mAh battery, you get 20 days of standby time, 6 hours of video playback and 23 hours of Audio playback; so now enjoy every moment of your listening, and viewing. Connectivity options includes, USB OTG Support, Wi-Fi, Hotspot, Bluetooth, Cast Screen, etc. Armed with additional Round DC Pin for charging, now multitask your gadget at ease. The special feature is Micro HDMI port that lets you connect to a bigger TV screen or even a Projector. iBall Slide Elan 3x32 comes loaded with pre-installed Stub applications of Microsoft (Word/Excel/Powerpoint). You can connect to your dear ones in regional languages, and add the desi touch to your chats through its 22 Indian Regional Language Support feature; allowing you to read and operate in the language you want. The product is already available Online and in select Retail stores across India at an MRP of just ₹16,999.